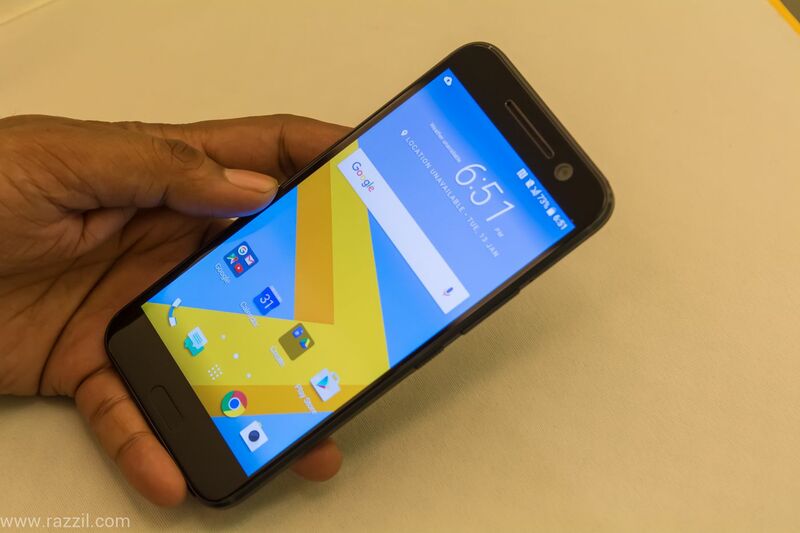 HTC India has launched its next flagship device HTC 10 in India for the whooping price of Rs. 52,999. Though the price is high, but HTC offering so many features which combine a world class camera with gold standard audio, bold new metal unibody design and unparalleled performance. HTC always impressed us with superb design & high-quality sound in a smartphone. 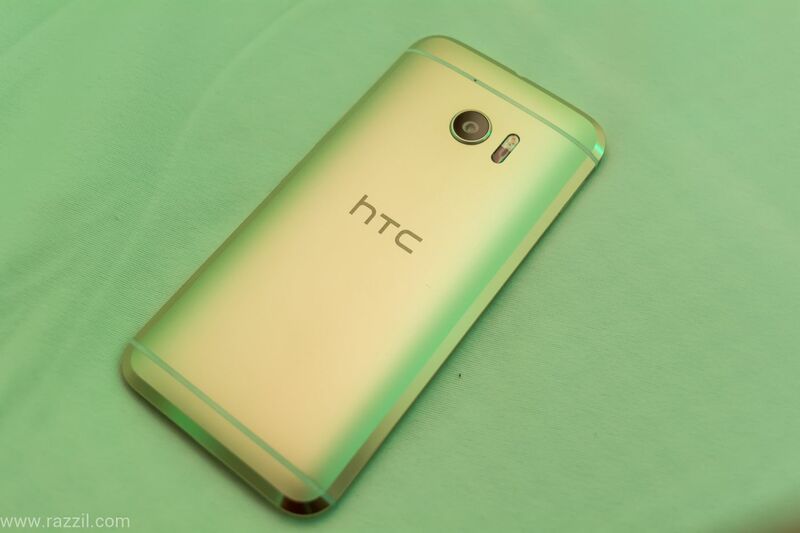 This time again, HTC did the brilliant work with not only design and sound but in every department. HTC not just stay with its unibody metal design, now it’s designed is inspired by light and its bold contours are carved out of solid metal. The front BoomSound moved to the bottom of the phone and now the front looks sublime thanks to less bezel space as compared to previous flagship device. Hi-Fi Speakers, USB Type-C cable, and microphone at the bottom of the phone, on the right hand you’ll find volume rocker with a rigged button so that easily identify which one is power button by a touch of feel. The moment you take the phone in your hand, you’ll love the design and build quality of the phone. 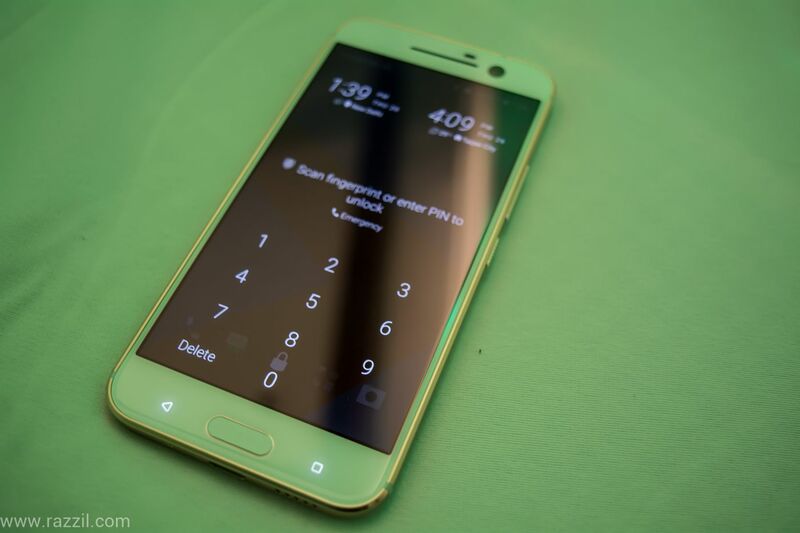 HTC 10 comes with new HTC Sense 8 UI built on top of the Android 6.0 Marshmallow. HTC finally decided to eliminate duplicate apps and pre-loaded apps and bloatware. HTC UI now has freestyle layout, in this, you no longer have an on-screen grid for the icons instead you can drag the icons, widgets, stickers anywhere on the screen. You can customize this based on the wallpapers. If you don’t like to customize, then they some freestyle layouts are available at the HTC Themes where you can download it for free. HTC 10 software is very responsive as compared to other manufacturer and also it’s very close to Google UI. At the launch event, I used one of the executive phones which he is using since last month and I’m impressed with the overall package. I don’t get many chances to test the Camera & Sound of the phone and also the lighting is very poor so can’t tell exactly how was real time usage. I’ll try to cover this in the review. The HTC 10 will be available in two stunning color combinations: Carbon Grey and Topaz Gold for INR 52,990/- from June 2016 onwards.